Port Deposit, situated along the banks of the Susquehanna River in Cecil County Maryland, is a historic town of approximately 650 residents. From humble beginnings as a collection point for lumber floating downriver, it took off in the mid-nineteenth century as a crucial junction point for additional goods including grain and coal. This was due to its position as the furthest point downstream on the Susquehanna and the furthest navigable point upstream in the Chesapeake Bay. At this same time, Port Deposit earned fame for the excellent granite deposits just to its north, and multiple factories and mills dotted downtown and the waterfront. With so much commerce, the Port Deposit financial industry gained prominence, and for a while the town was the only place to conduct banking between Baltimore and Wilmington, Delaware. The coming of railroads expanded the market for Port Deposit’s goods throughout the country. The Great Depression hit Port Deposit (like the rest of the country) and its industries hard, and the waterfront struggled for many years, reaching its nadir with the closing of the Wiley Manufacturing Company plant, which occupied most of the waterfront, in 1981. But things are looking up for Port Deposit recently; with renewed residential, commercial, and recreational development along the shoreline. The Town also recently gained a grant award of $50,000 through the Maryland Department of Natural Resources’ Working Waterfront program, which is designed to preserve the economic benefits and job creation of Maryland’s coastal resources. Last year, the Town of Rock Hall and Tilgham Island on the Eastern Shore also received Working Waterfront grants. Maryland Department of Planning staff spoke with Vicky Rinkerman, Town Administrator for Port Deposit, about the plans for the waterfront and her collaboration with state agencies. The following are excerpts of Ms. Rinkerman’s responses during that interview. What are the major goals and objectives for Port Deposit’s waterfront and how do they connect to those of the Town? A significant amount of the waterfront, which is approximately 1 ½ miles long and was once almost exclusively industrial, has recently developed with residential and commercial uses. The southern portion, which is owned by the town, is heavily used for recreational access to the Susquehanna River. The town completed the restoration of the last historic building on the waterfront, Jacob Tome Gas House, for a Visitor Center and Towson University Research and Education Center for the Northern Map Turtle. The Northern Map Turtle is indigenous to the area and the partnership with Towson is an opportunity to preserve an endangered species, and provide education on the Susquehanna River watershed, environment, local history, local restaurants and shops, and other tourism sites. The town supports initiatives that will improve water quality, such as removal of the wastewater treatment plant from the waterfront and upgrades to our stormwater drainage systems. The waterfront is popular and we are proud of the direction our town is going. We shall continue working to improve this vital asset with enhanced connections to the nearby Octorara and John Smith Trails, more opportunities for boat and water access to the public, and potential commercial opportunities that would be compatible with the recreational uses along the waterfront. What have been some barriers facing development of the waterfront? Port Deposit values its environmental and historic resources, and wants to preserve these valuable assets. While the floodplain regulations, Critical Area requirements, and historic district regulations are not barriers to development, they are complex programs that require diligent and thoughtful planning and implementation. We want economic development for Port Deposit, and we also want to do it the right way to ensure new investments made in our town will be here for years to come. How will this grant funding benefit the Town? 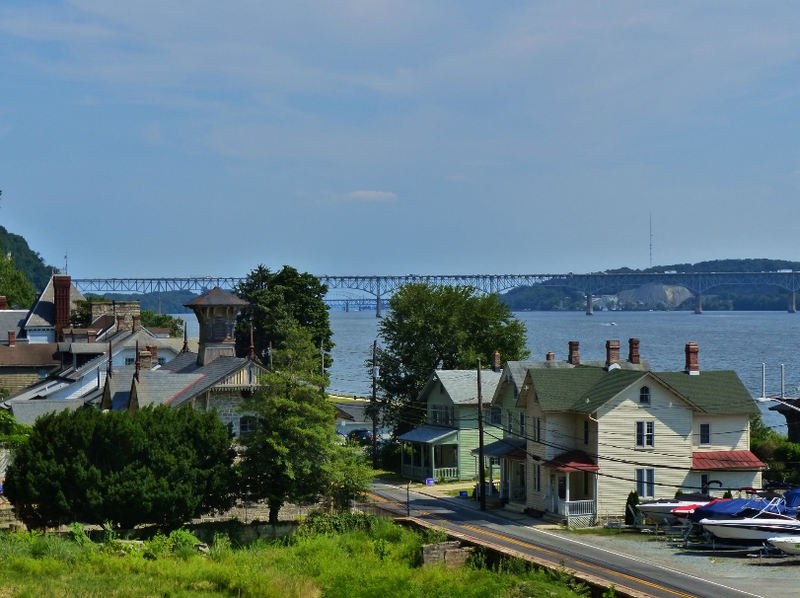 This grant will provide Port Deposit with a master development plan when it is completed, including stakeholder input and a working committee guiding its implementation. Currently we aspire to a lively and economically vibrant waterfront, and the result of this effort will be attainable objectives to improve existing waterfront areas and recreational access, add new recreational amenities, such as new boat launches or a fishing pier, and if possible, add new commercial opportunities on the waterfront if it is compatible with the recreational uses and makes sense. We worked very closely with the Maryland Department of Planning to submit our grant application, particularly David Dahlstrom, the Upper Eastern Shore Regional Planner for the department. In partnership with David, we aligned the requirements of the grant application with the needs of our community. As part of this process we also reviewed our Sustainable Communities Action Plan to ensure it matched with the grant application workplan. We intend to use that action plan when recruiting stakeholder committee members, many of whom were heavily involved in its formulation as well. How have state agencies supported this effort? The Maryland Department of Planning helped bridge the connection between some of our Sustainable Communities Action Plan items and the application for this grant. We weren’t sure if this program was the right one for us at first, as Port Deposit does not have a traditional working waterfront. But David assured us that in our modern economy, the definition of working waterfront is fluid and based on local conditions. We couldn’t be happier that he convinced us to pursue this opportunity! We only received word that we were awarded this grant about a month ago, so you might say we are still in the honeymoon phase, but we know there is plenty of work to do. First, we need to complete the Request for Proposals (RFP) for the hiring of the consultant. As part of this we might reach out to consultants who have done similar work and continue our collaboration with the Maryland Department of Planning. At the same time, we will establish the stakeholder committee that will help guide this project at the local, grassroots level. How can the Maryland Department of Planning continue to assist this effort? Port Deposit has a very small staff and little to no money for a project like this. Any help you can provide is always appreciated. Perhaps David could be on the stakeholder committee. Ultimately, we will need to incorporate the results of the working waterfront plan into our zoning ordinance and comprehensive plan. I can see the Maryland Department of Planning helping with that. To learn more about Port Deposit and the working waterfront project, please contact David Dahlstrom at david.dahlstrom@maryland.gov or 410-819-4084. If you are interested in telling your own local story of community development or planning, please contact Joe Griffiths at joseph.griffiths@maryland.gov or 410-767-4553.